Bratislava is a city of about 500.000 inhabitants, the historical center is small and tidy whereas the new city is a mix of new american style buildings and old comunist style buildings. Symbols of the city are the Ufo bridge and the Old castle. 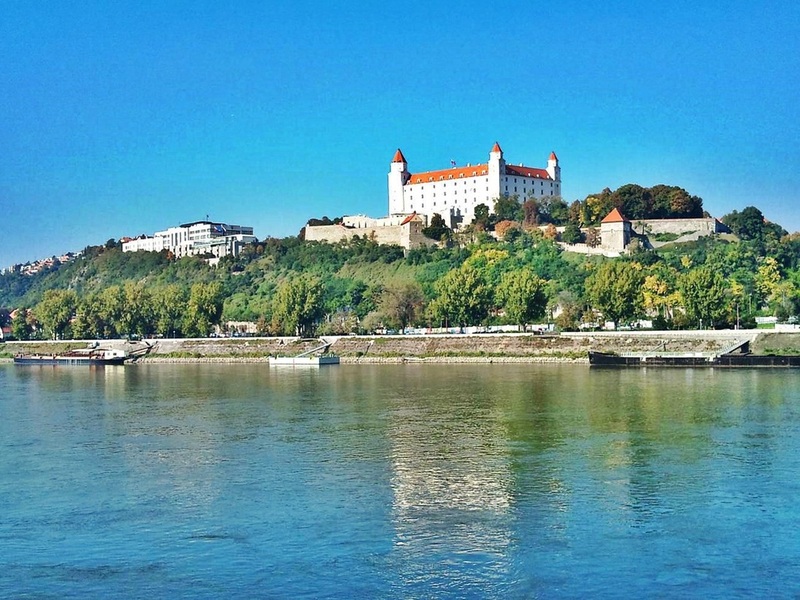 Going to Bratislava is very cheap and you can fly with Ryanair from the most important european capitals such as London, Paris, Barcelona (Girona), Rome, Stockholm, Bruxelles. Moreover you can also reach bratislava by Wizzair, a very cheap company that fly mostly to eastern europe, and Easyjet flying to Wien. you can also fly to wien because ther's a bus that connect wien to bratislava very confortable and cheap (10 euros for a return ticket) and there's a bus each hour from both the airport to the bus station of bratislava (mlinske nivy). 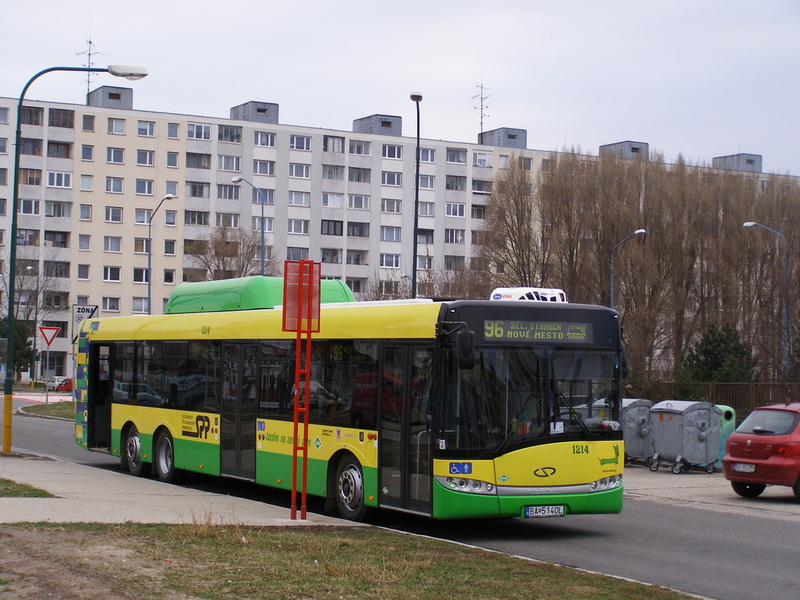 Trasposrts in bratislava are quiet good, you can go around the city by bus or tram. buses run also in the night but you can also take a taxi because is really cheap. the prices of the tickets are really cheap (30 euro/cents) and the taxis cost between 5 and 10 euros to go to the farest places of the city. I f you want ot go to Bratislava for a weekend or so, there are many cheap hotels and hostels which price is between 10 and 20 euros per night. It is located just 10 mins by walking from the city center and just 5 mins from the central rail station (hlavna stanica) where you can take the train to Wien. There's a train to Wien per hour and the trip lasts just one hour and they run from 4 am to 24pm. the price is 10 euros for a return ticket. The prices of the hostel fluctuate from 8,5 euros in the 6-8 beds dorm to 30 euros per person for a double room. This hostel is located close to the Tesco central shopping center and very close to the historical centre. it's really nice and clean. we paid 14 euros each in a 5 bed room with private toilet. it is just at the side of one of the most famous club in bratislava, the charlies, and close to a kebab shop really cheap and good, obiviously in the night after parties. It's a brand new hostel located in the main street of the city centre (Obchodna). Rooms have private toilet and it is very clean and tidy. The hostel is 1 minute far from the most famous slovakian pub: the slovak pub, a place you can't miss for a good pint of slovak beer and the typical slovakian dish "halusky". 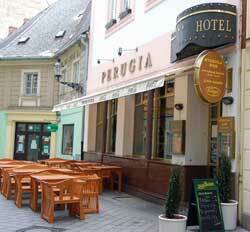 Eating and drinking in bratislava is very cheap. you could eat a kebab for 3,5 euros or a soup (mushrrom soup are really good), the typical halusky or a cup of gulas for a price between 2 and 4 euro and drink a tasteful pint of slovak beer for 1/2 euro. There are really good beers in Slovakia (pivo means beer in slovak language) and there are several brands of both lager and dark beers (tmavy pivo means dark beer). Slovak Pub is the most famous pub in Slovakia cause there you can try the traditional slovakian beers and food for a small price. A pint of beer costs just 2-2.5 euro and the environment is very young and nice. This restaurant-pub is one of the best place for the trade off between price and quality. Moreover here you can watch almost all the football matches or the main european leagues by drinking a pint of beer and eating meat, pizzas, and more for just 5-10 euro, and, as in the other places in Slovakia, you can smoke inside. It is suitable to try the suops they sell because they're very tasteful. This restaurant-pub is one of the best place for the trade off between price and quality. Moreover here you can watch almost all the football matches o the main european leagues by drinking a pint of beer and eating meat, pizzas, and more for just 5-10 euro, and, as in the other places in Slovakia, you can smoke inside. It is suitable to try the suops they sell because they're very tasteful. This restaurant is located in front of the bus stop of the university of economics. food is very good and is a mix between traditional cuisine and some Italian dishes but the best feature of this restaurant is the price and the location just close to the university. spending 10 euro you can be more than full and usually you will spend about 5-6 euros. 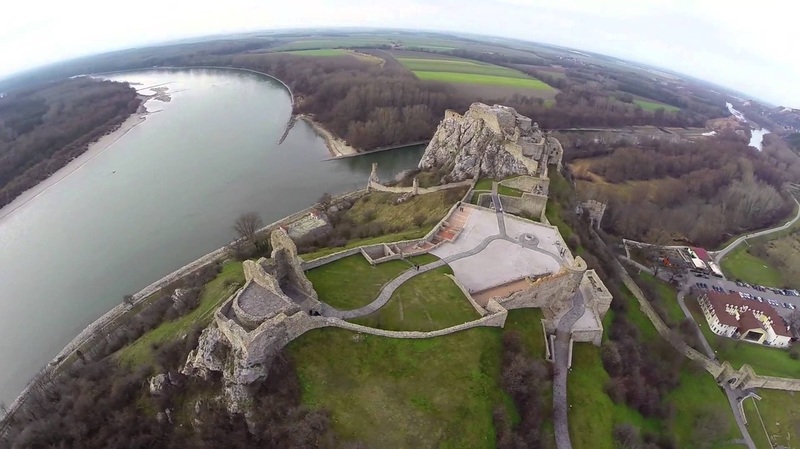 It's a castle in Devín, which is a borough of Bratislava, the capital of Slovakia. 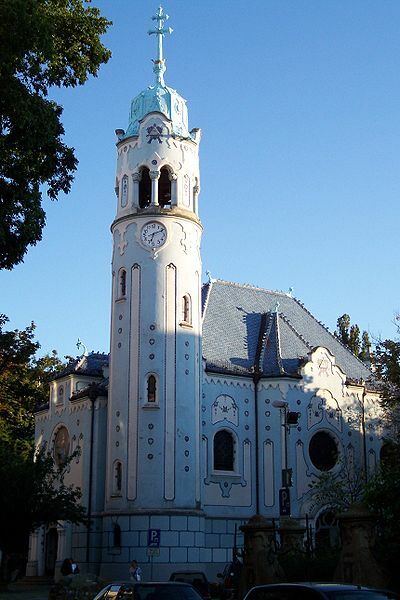 The Church of St. Elizabeth (Slovak: Kostol svätej Alžbety, Hungarian: Szent Erzsébet templom), commonly known as Blue Church (Modrý kostolík,Kék templom), is a Hungarian Secessionist (Jugendstil) Catholic church located in the eastern part of the Old Town in Bratislava, Slovakia. 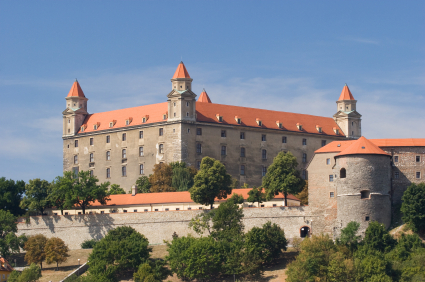 It is consecrated to Elisabeth of Hungary, daughter of Andrew II, who grew up in the Pressburg Castle (pozsonyi vár). It is called "Blue Church" because of the colour of its façade, mosaics, majolicas and blue-glazed roof. 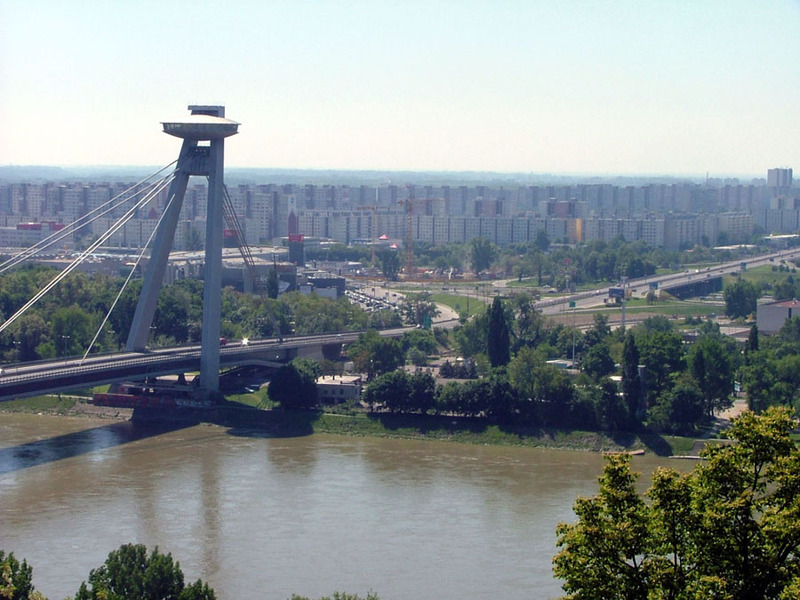 Petržalka is the largest borough of Bratislava, the capital of Slovakia. 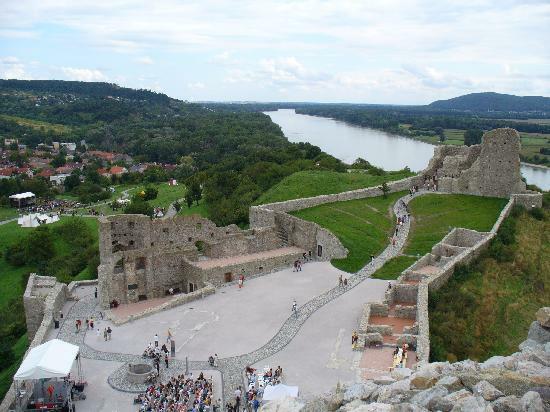 Situated on the right bank of the river Danube, it is home to approximately 120,000 people. The name Petržalka first appeared in the 1920s and refers to vegetables and herbs that were grown there (peteršílj means "parsley"). The older German name is Engerau or Ungerau. The Hungarian name is Pozsonyligetfalu, short form Ligetfalu. The University of Economics is based in Petržalka, with campuses situated in different locations around Bratislava.There are 11 elementary schools and 19 kindergartens administered by the borough. Gymnasium high schools include the state-administered Albert Einstein and Pankúchova 6 gymnasiums and the private Mercury Gymnasium. 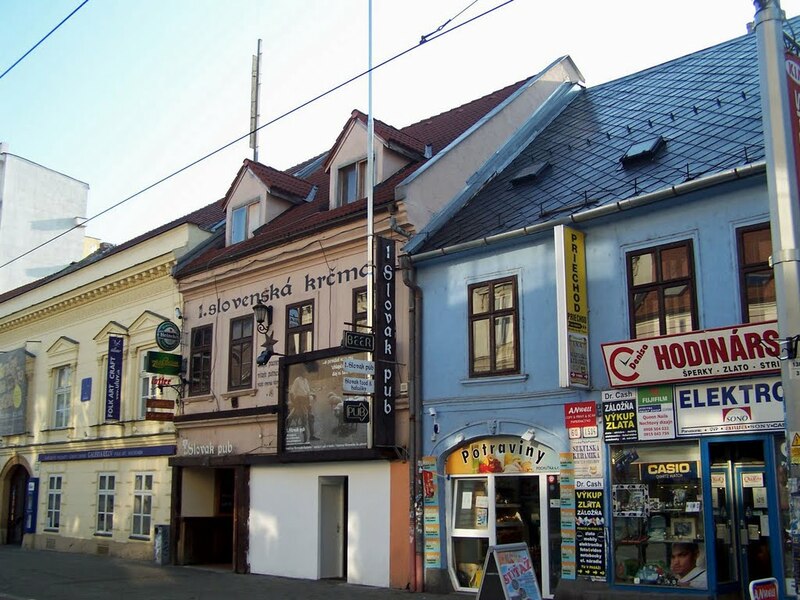 The borough is also known for its football club, Artmedia Bratislava, a participant in the 2005/06 UEFA Champions League. 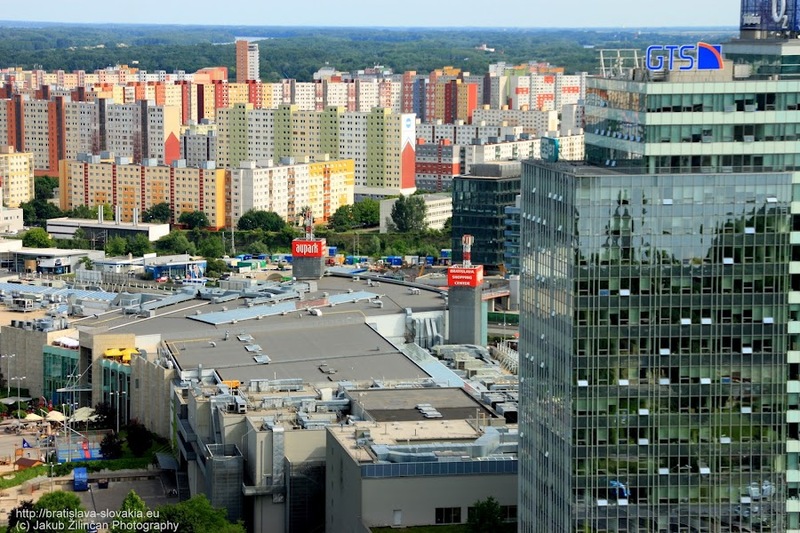 Aupark is a shopping centre (shopping mall and entertainment centre) in the Petržalka borough of Bratislava, Slovakia. 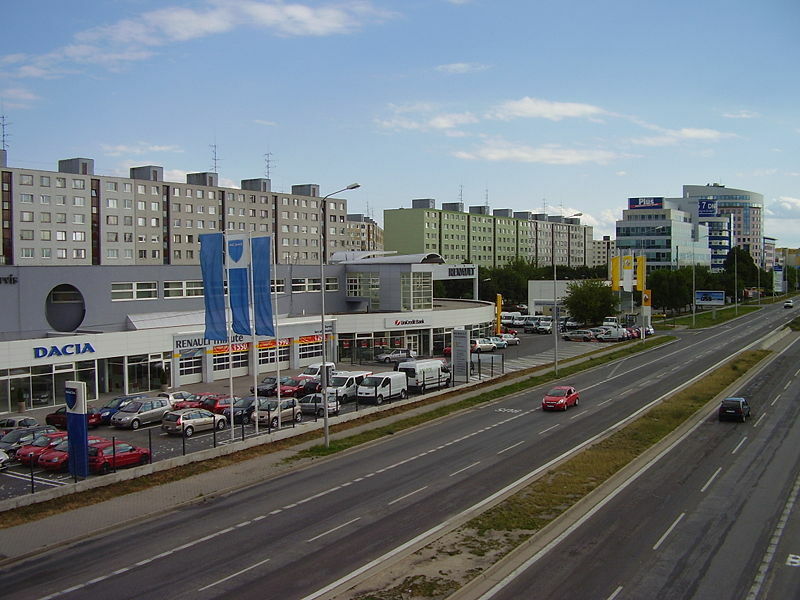 It was the second modern shopping centre in Bratislava, built a few years after Polus City Center. 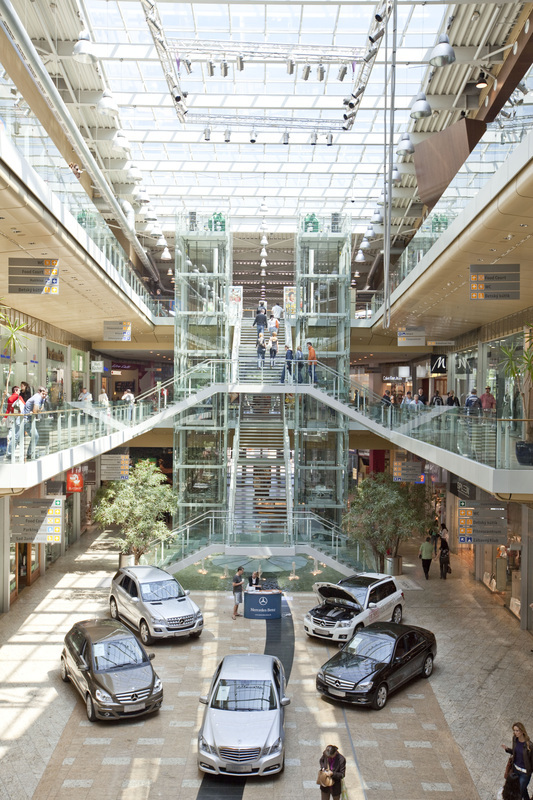 At the time is was built, it was the biggest shopping mall in Slovakia with total space of 44,000 m². During your erasmus in Bratislava it is probably the shopping center you will be visitng more times together with Eurovea, as it is very near to the city center. 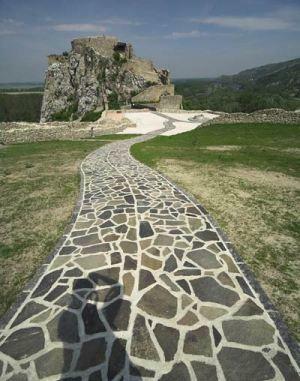 It is situated beside Sad Janka Kráľa public park, formerly known also as Aupark, not far from the river Danube. Bratislava Castle (Slovak: Bratislavský hrad, German: Pressburger Schloss, Hungarian: Pozsonyi Vár) is the main castle of Bratislava, the capital of Slovakia. 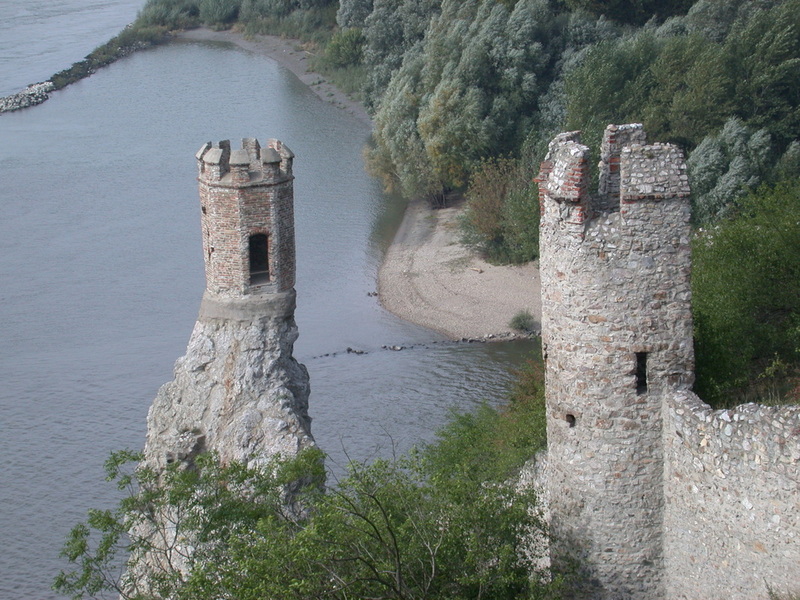 The massive rectangular building with four corner towers stands on an isolated rocky hill of the Little Carpathians directly above the Danube river in the middle of Bratislava. Because of its size and location, it has been a dominant feature of the city for centuries. 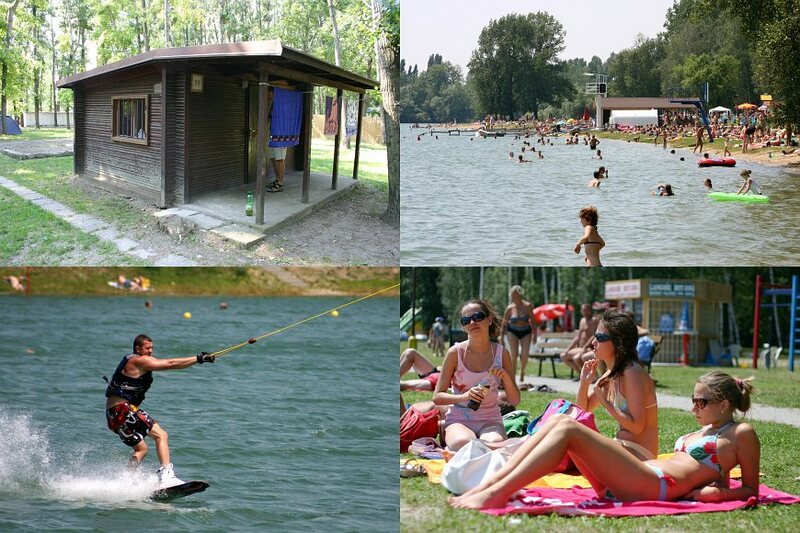 If you're going to or living in Bratislava during summer time there's a place that you should absolutely visit and enjoy: the name of this place is Zlate Piesky (literally Golden Sands) and it is located in the suburb of the city 20 minutes by tram (electricka) from the city centre. The tram number 2 leaves from trnavske myto, a big cross in the middle of Sancova Avenue and about 1 km far from Obchodna (the main street in the city centre). 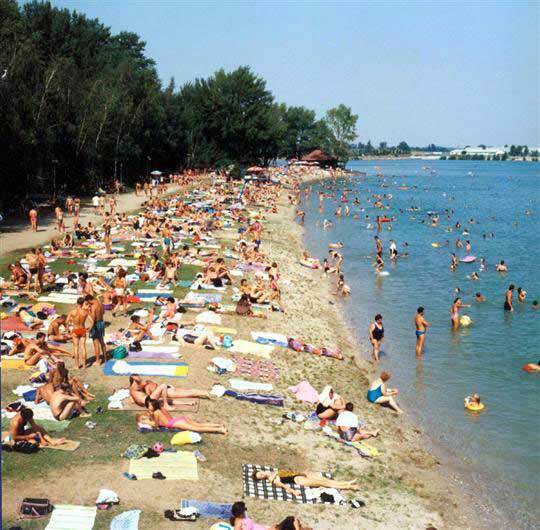 The tram terminates to Zlate Piesky and the lake is just 400 meters far from the stop and just behind a big tesco wher you can bay clothes and other stuffs for the beach life. You can also go there by buses number: 53, 56, 57,65, 630. In this place there are several beaches and in the summer time you can drink a beer on the beach under the sunny weather, and more you can practice some watersports if you're a lover of it. You can go there between the end of May and the beginning of September.